For many people, weight loss is a constant struggle that leads to experimentation with many extreme diets. Some may yield results, while others completely fail. You have probably wondered if you should follow a Paleo, Ketogenic, Vegan, Vegetarian or Mediterranean diet for the best results. Perhaps you know someone who did really well on one diet, while another friend or family member either felt awful following the diet or actually put on more weight. Or maybe you found success in the short term, but the diet and results were not sustainable in the long-term. At Nutrition Genome. our belief is that your diet should align with the thousands of years of your ancestor’s history and the current environment you live in. Your body has adapted to certain foods, environments, and exercise over numerous generations, and these imprints are seen in your genetic results in the Nutrition Genome Report. Deviations from these adapted patterns can lead to deviations in weight and a healthy body. A “diet” in the sense of a temporary solution shouldn’t be necessary when you are aligned with what your body needs to thrive. Is Overeating Similar to Drug and Alcohol Addiction? Research has found that abnormal neurotransmitter levels found in obese animals and humans are similar to those seen in chronic drug abusers. Neurotransmitters are chemical messengers responsible for numerous activities in the brain and body. These include serotonin, dopamine, epinephrine, norepinephrine, glutamate, GABA, acetylcholine and histamines also have neurotransmitter activity. The neurotransmitters require nutritional co-factors to work properly and stay balanced, while they can also become imbalanced by nutritional deficiencies, heavy metal toxicities, sugar, chronic stress, stimulants, inactivity, and poor sleep patterns. Have you ever binged on sugary foods and found it hard to stop? Binging on sugar triggers excessive levels of dopamine and opioid release in the brain that are associated with pathological consumption. Binge-eating rats will also endure stronger electric foot shock than control rats to access sweet cookies, that’s how strong the addiction can be. Just like a drug, the more sugar you consume and adapt to, the more you need to get the same dopamine effect. In other animal studies, the cessation of chronic sugar consumption produces similar behavioral symptoms to heroin withdrawal, such as teeth chattering and anxiety. As with addictive drugs, animals withdrawn can rapidly reinstate pathological eating patterns after being exposed to stress or other cues. It has been proposed in research that overeating may actually be a neurological disorder, similar biochemically to drug or alcohol addiction. Yet, there is a stigma with overeating. Obesity has exploded on a global scale and is now the fifth leading cause of premature death. In the US, more than two-thirds of all adults are overweight and half of these are obese, which is really an unbelievable percentage of people. But the US is not alone; the UK, Canada, and Australia are not far behind, and even developing countries are following the trend. We know that the Western diet – a high caloric diet of refined carbohydrates, sugar, salt, and fat – combined with a sedentary lifestyle is to blame for this epidemic. It is also known that this diet is cheap and highly addictive; a reason fast food restaurants and processed food companies continue to thrive as our population’s health continues to decline. This food is designed to stimulate the reward pathways in the brain, not satisfy hunger. In response, countries like Denmark have enacted a tax on saturated fats, following the example of Hungary’s tax on foods high in sugar, fat, salt and caffeine. Sugar, fat, and salt activate neurons involved in taste perception, reward, and conscious control of eating. The same has been found to be true of artificial sweeteners. The combination of these tricks the brain and disrupts neurotransmitter homeostasis, telling you to keep eating. Pharmaceutical companies have been dubbed as “drug pushers,” but perhaps processed food companies should be viewed in the same light. Is there a Genetic and Epigenetic Connection to Overeating? Twin and adoption studies suggest that heritable factors account for 40–70% of an individual’s risk of becoming obese, which is comparable with the contribution of genetic factors to addiction risk. There are also higher rates of substance abuse disorders among relatives of individuals with anorexia and bulimia. While researchers believe there is evidence for candidate genes connected to overeating and obesity, the current belief is that epigenetics is playing a much more influential role. Binge-eating is often viewed as emotion-driven eating, done in response to anxiety, depression, and/or boredom. Approximately sixty percent of diagnosed cases of binge eating are in women, fewer than half of all cases receive adequate treatment, and there really isn’t any specific treatment for binge eating disorders. The overall consensus in the research studies is that people who overeat have abnormally low activity in impulse-control related frontal brain regions and an increased sensitivity to reward. The question, then, is how do we individualize each person’s dietary plan knowing where their susceptibilities are for both emotional addiction and metabolic differences in protein, fat, and carbohydrates? Our genetic blueprint may help us discover the most sustainable plan for maintaining a healthy weight. Researchers tested the idea that genetic testing could improve the outcome for long-term weight management. Patients with a history of failures at weight loss were offered a nutrigenetic test screening 24 variants in 19 genes involved in metabolism. 50 patients were in the nutrigenetic group and 43 patients did not receive a nutrigenetic test. 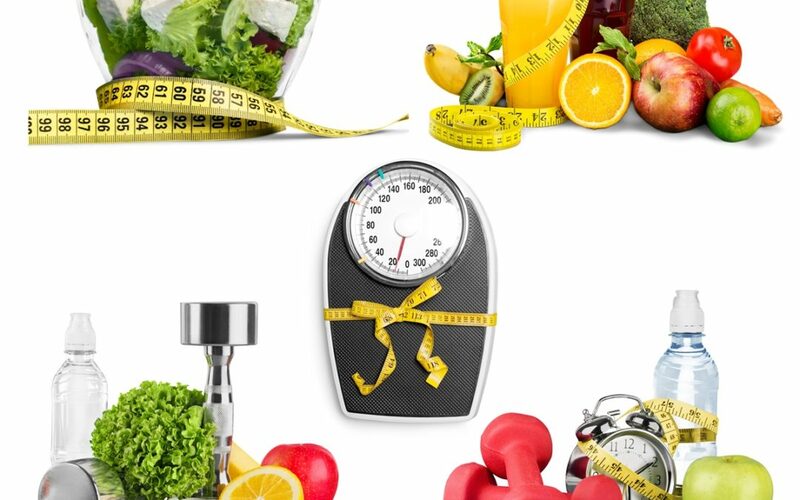 After 300 days of follow-up individuals in the nutrigenetic group were more likely to have maintained some weight loss (73%) than those in the comparison group (32%). Among patients with a starting blood fasting glucose of > 100 mg/dL, 57% of the nutrigenetic group but only 25% of the non-tested group had levels reduced to < 100 mg/dL. Genetics has shown us that there is not a one size fits all diet because we come from different environments and diets over thousands of years. We are a collection of our ancestral experiences. Each person needs their unique biochemistry assessed for the highest rate of a successful outcome. The following genes are found in The Nutrition Genome Report. Discovering your genotypes for these genes can help you determine the best dietary course of action for appetite control and a healthy weight. In the Digestion section of the Nutrition Genome Report, you will find your genotype for the APOA2, PPAR-alpha and ACSL1 gene. The homozygous gene is the relevant genotype for APOA2 and ACSL1, and the heterozygous genotype for PPAR-alpha. All three are connected to being more sensitive to a high saturated fat intake. This can manifest as disrupting your brain’s ability to tell you to stop eating, a larger waist circumference, fatty liver, higher fasting glucose, and a higher sensitivity to the effects of being sedentary with weight gain. Less than 22 grams of saturated fat daily (for best results avoid all dairy). Coconut oil and other coconut products may be a saturated fat exception for those with certain genetic backgrounds. Coconut has been found to decrease tissue lipid levels, reduce the activity of enzymes involved in lipogenesis, increase the rate of fatty acid breakdown and help suppress your appetite. But not all studies or individuals show a positive response to coconut. Monitoring your bloodwork is key for accurate feedback. The origins of the coconut began in southeast Asia and India and spread to eastern Polynesia, the Pacific coasts of Latin America, the Philippines, the Atlantic coasts of Africa, South America and to the Caribbean, and therefore, people with longer genetic ties to these geographical locations may enlighten us on the different metabolic responses to the fatty acids in coconut. More sensitive to a sedentary work environment. Constant movement throughout the day needed for efficient fat burning. Commuting by bike or walking, or simply taking walking breaks throughout the day to increase daily movement is recommend for this genotype to activate lipoprotein lipase for burning fat. In the Digestion section, you will find your genotype for the FTO genes. The FTO gene is connected to ghrelin levels, known for controlling your appetite and regulating overall caloric intake. Based on my observations, the FTO gene does not necessarily lead to higher rates of obesity, but it is correlated with a larger appetite when there isn’t sufficient protein in the diet. The homozygous FTO genotype individual may also be more likely to be more sensitive to adopting poor eating patterns when sleeping is disrupted. Don’t skip breakfast; focus on a protein and fiber-rich breakfast at the start of each day. Be consistent with your sleep, getting 7-8 hours of sleep per night. The FTO gene is all about your circadian rhythm being dialed in. Both aerobic and high-intensity exercise should be utilized. Check vitamin D levels and ensure you are in the healthy range. Vitamin D levels below 20 ng/ml were correlated with lower ghrelin levels. If you put on weight easily or struggle with always feeling hungry, then saturated fat intake may need to be reduced, and monounsaturated and polyunsaturated fats should be increased. In the Neurotransmitter and Mental Health section, you will find your genotype for the ANKK1 gene. The ANKK1 gene is connected to dopamine receptors, with variants in this gene leading to lower dopamine receptors (and lower dopamine availability) and may lead to a higher susceptibility to sugar addictions, compulsive eating, and obesity. ADHD has also been connected to low dopamine levels. The correlation is much stronger in women than in men. In women with the heterozygous or homozygous genotype, the research found a lower dopamine activation response to food, leading to a higher overall food intake. Optimize vitamin D and iron levels. Lower media time (phone, internet, TV). High-intensity exercise (sports and activities that involve sprinting movements, boxing, kickboxing, and martial arts). Avoid all refined sugar, use stevia as a sweetener. In the Digestion section of the Nutrition Genome Report, you will find your ADIPOQ genotype. Adiponectin is an insulin-sensitizing hormone that improves glucose metabolism. Decreased levels have been found in people who are obese. The heterozygous and homozygous genotype have been correlated with lower levels of adiponectin. Research has found the following ways to increase adiponectin. Limit red meat to once per week. Intermittent fasting (restrict feeding window to 8-10 hours each day). Include berries, rose hips, chili peppers, ginger and turmeric in your daily diet. Swimming and ginger supplementation together increased adiponectin. In the Neurotransmitter and Mental Health section of the Nutrition Genome Report, you will find your genotypes for BDNF and the GAD1 genes. A new view of glutamate has been evolving has been found to play a role in the regulation of food intake (Increased food intake has been associated with the blockage of glutamate receptors), drug-seeking behavior, and binge eating. Issues with glutamate/GABA imbalances in a family tree can show up as epilepsy, alcohol addiction, OCD, IBS, dementia, MS, mood disorders and heart attacks to name a few. Antiepileptic drugs are also often marketed as mood-regulating drugs due to their effect on glutamate levels. Topiramate – for example – has also been used for alcohol dependence, weight-loss, and binge eating disorder. Understanding the importance of regulating glutamate levels can have wide-reaching effects not only on neurodegenerative disorders but also weight loss and binge eating. Higher omega-3, lithium, B6, zinc, magnesium taurine and choline intake. Heat exposure (sauna or running in the sun). Healthy levels of progesterone (women). Endurance running is going to be one of the best exercises for those needing to modulate glutamate levels. In the Neurotransmitter and Mental Health section of the Nutrition Genome Report, you will find your genotypes for MAO-A. Alterations in brain serotonin levels are thought to contribute to diverse aspects of eating disorders, including binge eating, perfectionism, impulsivity, and mood-regulation problems. While the MAO-A gene is just one small piece of the serotonin puzzle, we get clues based on how the MAO-A gene is affected by estrogen and more relevant in women. The MAO-A gene is unique in that both the normal genotype and the homozygous genotype are relevant. The normal TT genotype is connected to a slow activity of MAO-A and the homozygous GG genotype is connected to a fast activity of MAO-A in terms of breaking down serotonin and estrogen. Since MAO-A is in the estrogen and serotonin pathway, estrogen levels have a large effect on MAO-A activity. Serotonin acts as either an appetite suppressant or a neurotransmitter that craves sugar and carbs depending on its level in the gut and brain. For females, knowing if your estrogen runs on the high or low side throughout the month can tell you a lot about serotonin because serotonin mirrors estrogen levels. When serotonin drops off too much along with estrogen during a monthly cycle, cravings for sugar and carbohydrates become very strong. Why? Starchy carbohydrates boost serotonin. Tryptophan from protein passes more successfully across the blood-brain barrier in the presence of starchy carbohydrates, satisfying the brain and telling you that you’re full. Without carbohydrates, tryptophan from protein struggles to compete without other amino acids. At Thanksgiving, eating turkey without the mashed sweet potatoes is doing your brain a disservice and may cause a desire to eat a whole pie later. When serotonin levels are the issue with an individual struggling with weight, a low-carb diet may not be a wise choice for weight and mental health. Another connection I’ve seen here is with the homozygous MTHFR 1298 genotype, which requires a lower protein intake due to elevated ammonia levels from a higher protein intake (if there is a slow GAD1 gene function, this also increases glutamate levels). If you see a pattern of low serotonin combined with the MTHFR 1298 homozygous genotype and variants in GAD1 or BDNF, then it may be more beneficial for a person’s meal should be weighted with less protein on the plate, sufficient carbohydrates and healthy fats based on their genotype for the healthy serotonin and glutamate levels. If you are the type of person that finds yourself craving something sweet in the afternoon, you may require more complex carbohydrates to suppress hunger. The trick is choosing the nutrient-dense complex carbohydrate, not the cookie, muffin, donut or candy bar. Stress will also create a higher craving for these foods due to the effect of stress on serotonin levels. Since melatonin is downstream in the serotonin pathway, avoiding carbohydrates at night could also negatively affect your sleep. Higher intake of vitamin B2, B6, B12, magnesium, vitamin C and tryptophan. Also review MTHFR 1298 genotype.